Just a block away from our hotel (King Plaza) there’s a night market packed with delicious finds: Ningxia Night Market. The place is always filled with customers which is a good indicator for quality and taste. 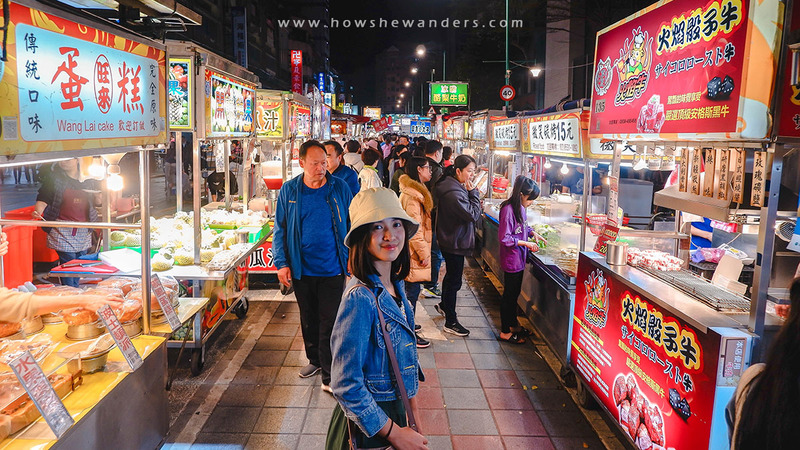 It’s not as popular as other night markets like Shilin, Ximending, Shida, etc., but we definitely had a great food-trip experience here! Most foodstuffs were being cooked right in front of you so you wouldn’t help but try as many food as you can as they all smell yummy! It was actually quite hard to decide which one to eat first. The first one we tried was the Roasted Beef. Beef cut into cubes will be roasted using a torch. They will only roast it upon ordering so it’s guaranteed fresh and natural. You may choose either Pepper or Teriyaki flavor. We chose Pepper. It was flavorful but quite hard to chew. Maybe it wasn’t cooked well enough. I think you may request to roast it more according to your liking. Next was the Grilled Chicken Roll. People were flocking to this certain food stall that’s why we got curious. It’s simply a street food filled with real chicken meat. And it’s purely chicken meat, no trick! Jeric and I agreed this was our favorite! Just like the Roasted Beef, they will only cook it upon ordering. It was oh so juicy and bursting with flavor. To be honest, our 2nd, 3rd, and 4th night in Taipei were all grilled-chicken-roll nights! It’s something you wouldn’t mind eating every single day. We smelled something unpleasant so we assumed there’s a Stinky Tofu stall just around the corner. And we’re right! This is the food I was most curious about. It smells really awfully terribly bad. But guess what? The taste was delightfully good! The tofu was fermented hence the strong odor. In my opinion, you wouldn’t enjoy it much without the stinky smell. It seems that the odor contributes to the overall taste of the tofu. Takoyaki was the next on our list when we were amazed how those octopus balls were being made. It was fun watching how the yummy-looking tako balls were being cooked. And it wasn’t just yummy-looking but yummy-tasting as well. The Nori flavoring was to die for! Takoyaki is a ball-shaped snack made of wheat flour-based batter, filled with diced octopus (tako), and cooked in a specially molded pan. I don’t know but we got full even without rice! It was a good combination of beef, chicken, tofu, and of course octopus! To balance all the flavorsome food we ate, we ordered fresh lemon juice. The lemon juice had real lemon pulp and not too sweet, so naturally refreshing! While we were strolling around the place, we heard Ronnie Liang’s song, Ngiti, being played somewhere (we couldn’t find where). I’m not sure if Liang got popular in Taiwan, or maybe there’s just a Filipino vendor at the market. Nevertheless, we felt like home! 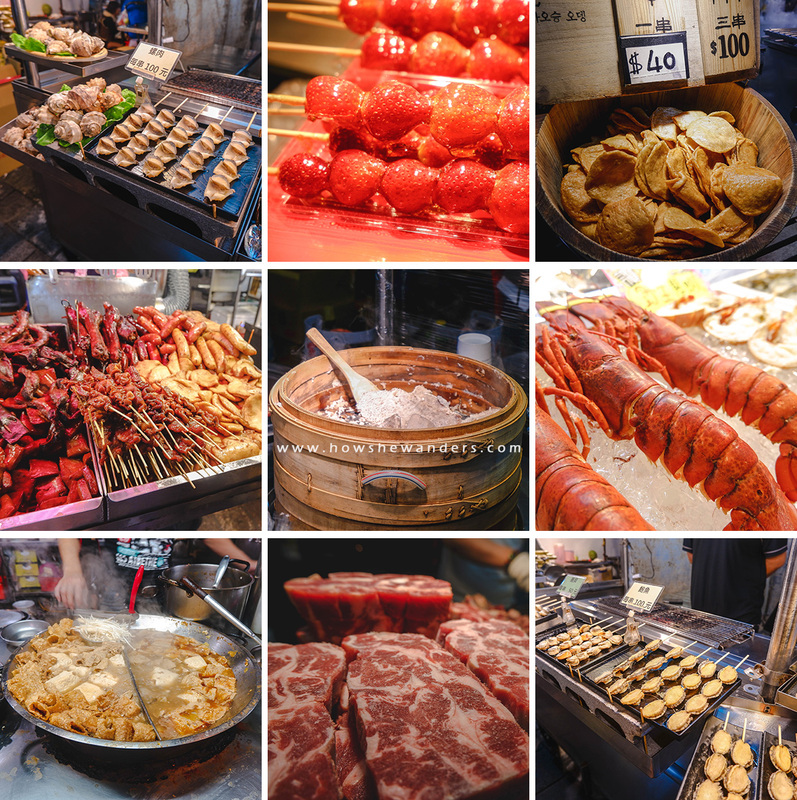 On our 4th night in Taipei, we went back to Ningxia Night Market after our Northeast Tour. 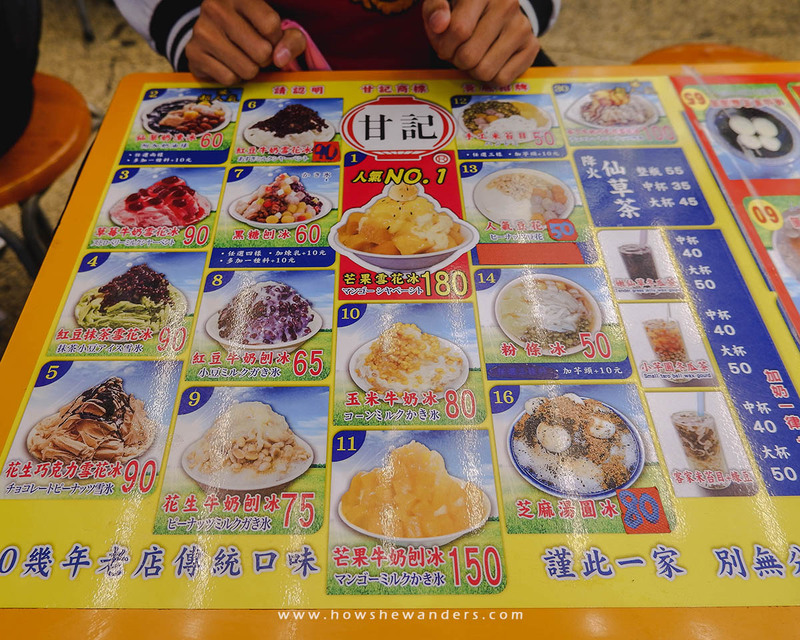 Aside from our favorite Grilled Chicken Roll, we also tried one of Taiwan’s must-try delicacy: Snow Ice (Bingsu). Since we couldn’t read anything, we just picked the No. 1 which obviously says it’s their best seller. And based on the picture, it looks like mango. So the mango-junkie in front of me got so excited! The serving was big enough so it’s good for sharing. 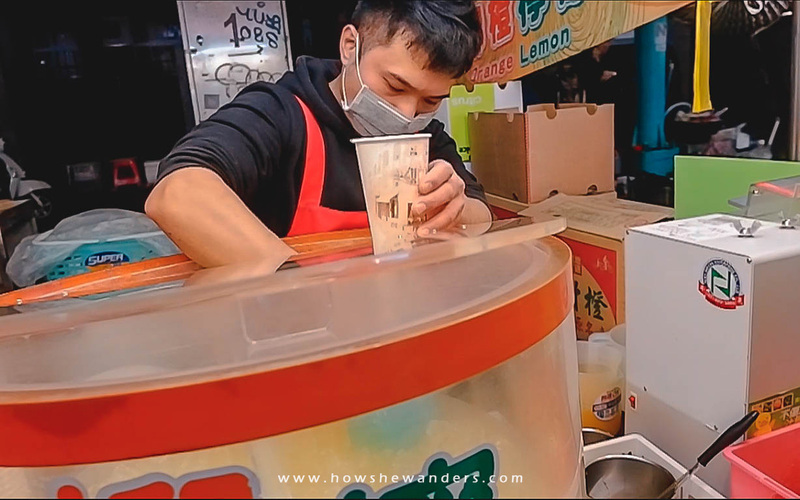 I tried the shaved ice first to see how smooth it is, and it did not disappoint! It was so creamy and soft, almost like an ice cream. Sweetness was just right for us. While the shaved ice part was great, the mango chunks were so so. Or I could say, it’s not as good as Philippine mango. The mangoes were not sweet at all, it had an acidic tang. And the texture was more fibrous and not that soft and pulpy. Or maybe it’s in the type of mango that exist in the country. Ningxia Night Market I can say is huge in terms of food varieties it offers. But we’ve only tasted a very small piece of it. Here are some other varieties we’ve captured that I think are worth the try as well. When we get back to Taipei, we will surely try the other night markets, but we will absolutely come back here and try more varieties! 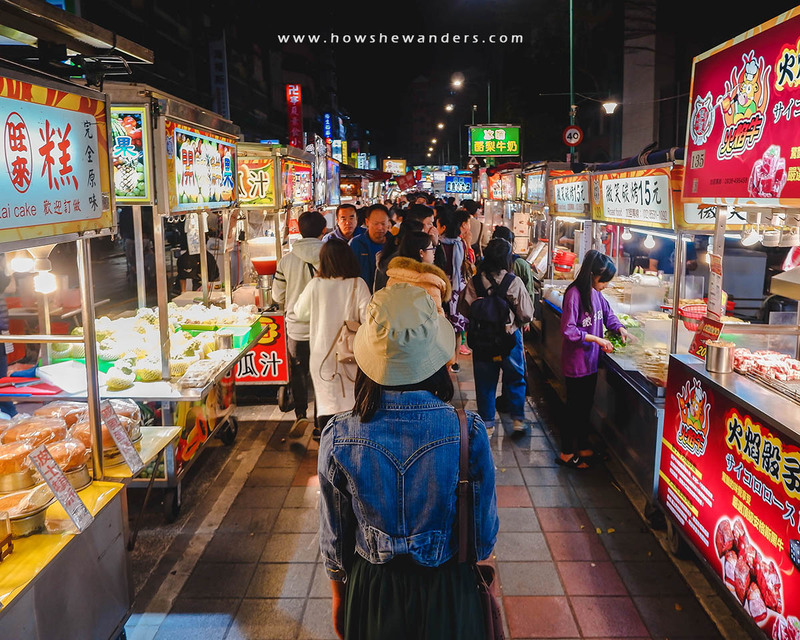 If you know other food-trip spot in Taipei that are worth visiting, you may share them in the comments below!